This is the way the world ends: not with a bang, but an energy drink. A spore. Kevin Spacey in a Mandarin collar. Armageddon is a hot topic right now. Scratch that, it's ALWAYS been a hot topic. Every culture has its Ragnarok, and at every point in history you'll find people who believe they're living the end times. But now that the apocalypse has made the jump from religion to pop culture, we've seen a design problem arise - namely that some games try and skip the buildup and get straight to the inferno. It's backward, it's bad storytelling and it runs against human culture. You have to earn your apocalypse. The key to a good apocalypse lies in what happens before things fall apart. There's narrative groundwork to be done. Building up before you break down. Developers need to give the audience a sense of the world and its characters. A good End Times game lets us know what's at stake. It shows us why this world deserves to be broken, and why it deserves to be fixed. Apocalypse stories exist in a paradox - they show us a world that deserves to be destroyed, but deserves equally to be saved. They're wish fulfillment. We tell them to express our fear that society's problems will prove too much for us, that our way of life is so deeply flawed it cannot survive. This pattern crops up over and over. In The Last of Us, it isn't the infection that brings society down, but humanity's fear and selfishness. Sunset Overdrive makes corporate greed and unthinking consumerism its catalyst. Call of Duty: Advanced Warfare posits an apocalypse through governments abdicating their civic responsibilities to corporations. All these scenarios share one element: the fire consumes us because we ourselves struck the match. Through negligence. Through greed. Through not being ready or able to hold common needs above ourselves. In these games we don't just see the world fall apart, we know why. This makes the destruction feel not only more real, but also cathartic. There's a certain release in seeing society punished for its transgressions. Like a criminal who's been caught after years on the run, we can finally relax when retribution comes. It's hard to overstate how important culpability is in end times narratives. Scientific or Lovecraftian apocalypses - the idea that we could be wiped out by a comet, or another being that barely notices us - are new concepts to the human race. Even in our less religious times we still conceptualize Armageddon as a response to human behavior, whether it's sin, environmental devastation or the atomic bomb, and this narrative pings a response deep in our emotional core. But in addition to showing a world that needs to be destroyed, a good apocalypse also needs to show us what's worth saving - otherwise, there's no point in trying to survive. Take Call of Duty: Advanced Warfare. This game earns its apocalypse. 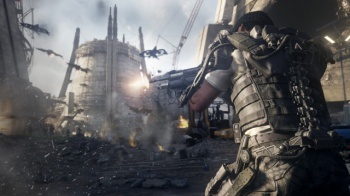 While most CoD games stress the opening mission as the slam-bang action benchmark and include a shocking twist halfway through, Advanced Warfare spends its early missions establishing the world. While militaries ask a great deal from their soldiers - the loss of life and limb for little compensation - private companies start to outbid them. They have better equipment. Higher pay. They'll fix you with advanced prosthetics should you break. Absent political agendas and bureaucracy, they can take on asymmetrical threats like terrorism without worrying about diplomatic niceties - in other words, nations can abdicate responsibility to them. The problem, of course, is that diplomacy, bureaucracy and the military's culture of service exist for a reason. Companies may go where the market dictates, but that doesn't make them apolitical - and that's especially true of companies with strong, opinionated leadership. While Irons appears sinister throughout the game, Sledgehammer keeps his villainy on a slow boil, evolving him from a cold-blooded profiteer to violent dictator with global ambitions. By the time his horrors reach their height, the audience knows exactly how and why we've gotten there. Governments didn't want to do the messy work, so they offloaded it to a monster who worshipped money, unaware that wealth wasn't his sole aim. We understand that what's at stake is the imperfect, often nasty version of warfare that killed Irons' son and maimed Mitchell - a world where people sacrificed lives for the good of society rather than personal reward. The fact that Advanced Warfare ends with Irons dead but the war raging on is what separates it from other Call of Duty games. Advanced Warfare isn't an apocalypse averted, like CoD 4 or Black Ops, it's about the bloody, screaming birth of a worldwide cataclysm that will roil on after its architect lies slain. It's a well-built narrative. Contrast Advanced Warfare with Call of Duty: Ghosts, a game that fumbled its apocalyptic themes so badly it was almost laughable. Packed with end-of-the-world imagery like angel statues, earthquakes, ruined churches and a satellite (named after a god) raining death from heaven, Infinity Ward laid it on fast and thick, and that was the problem. Lazy, on-the-nose visual language tried to take the place of actual storytelling and the game suffered. 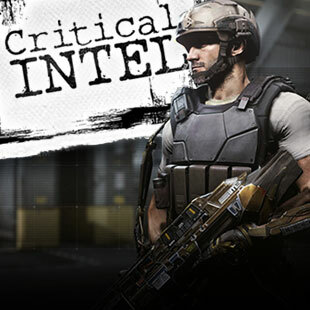 Rather than build to the big event, Ghosts threw the destruction at you first thing out of the gate before you could know and understand the characters. There's little attempt to establish why this world deserves punishment. Sure, the U.S. created ODIN and had it turned on them, but that just emphasizes that Ghosts isn't apocalyptic in an global sense so much as it's concerned with playing on American fears about "falling behind" the developing world. (Remember the "Federation Day" mission that was all about how Caracas was more "modern" than the U.S.?) In any case, Ghosts ends with the protagonist regaining control of ODIN and using it "for good," so any moral lesson from the story loses its punch. Ghosts spends its entire running time trying to show that the U.S. didn't deserve to have its super weapon used against them, rather than acknowledging any responsibility for their own situation. At least Black Ops II was genuine enough to suggest that its villain and his coalition formed in reaction to U.S. proxy wars against the Soviets.